Every love story has two protagonists, so here we meet ‘Jesus’. 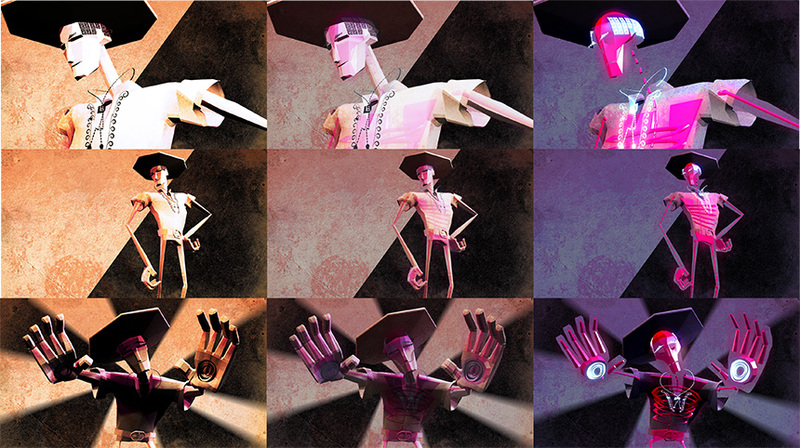 The humans in this story were created with a chiselled, stony aesthetic that was influenced by the idols of the Mayan and Aztec cultures who founded the festival. Stark, simple Aztec patterns adorn the figures to create more detail. These details have yet more impact when the characters switch to their death passes, as they shine over the skeletons revealed within at moments of death. 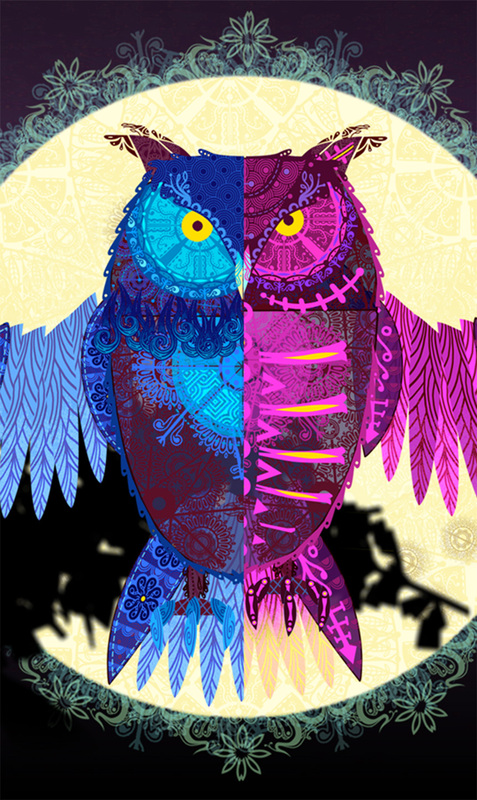 Graham’s ‘Owl’ represents the Harbinger of Death and also acts as a catalyst for the premonition of death and the death pass.